Comau, a member of the FCA Group and global leader in advanced industrial automation products and solutions, unveils a new digital assistant – Vir.GIL (Virtual Guidance Interactive Learning) – that merges digital technologies, sensors and control software to guide workers in completing manual operations. 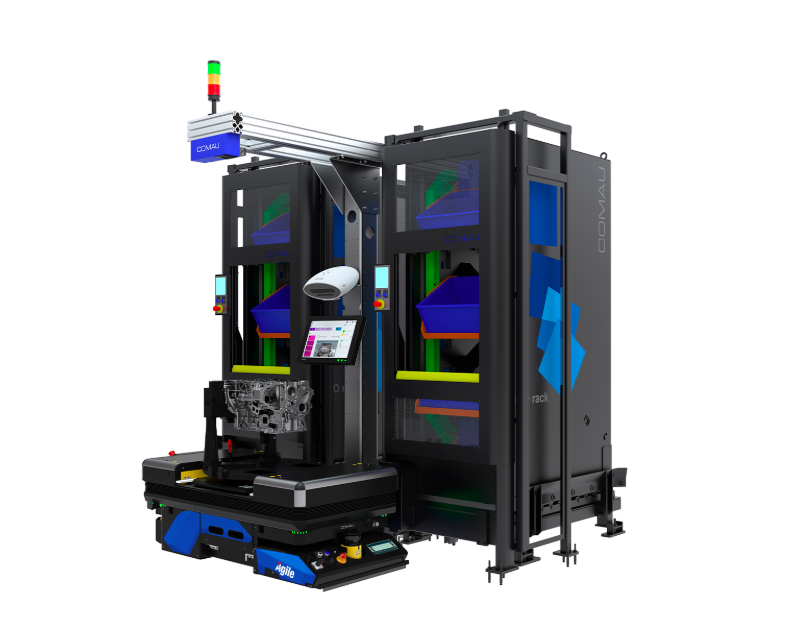 Easy and intuitive, Vir.GIL, developed in collaboration with the e-Novia company Smart Robots (for the 3D Vision System) – from April 8th to April 11th at «Automate 2019» in Chicago – uses lights to guide the operator along the correct manual sequence, sensors to follow the operator and integrated intelligence to track and certify the process – all while offering human-like interaction based on speech and gestures. The strength of the patent-pending system lies within the combination of speech, gestures, lights, sensors and control software to both guide the worker and teach Vir.GIL new sequences. By putting Vir.GIL in machine-learning mode, the expert operator performs and confirms each position of an assembly process telling Vir.GIL to memorize the hand positions and intervention points. Once Vir.GIL learns the sequence, the system can guide a non-experienced operator in achieving the same level of precision and performance as the expert. In addition, Vir.GIL’s certification feature ensures things are done in the right way while collecting anonymous real-time data that can be used to verify technical parameters and improve working efficiency where needed. The use of Vir.GIL within a manufacturing environment is not limited to strictly manual tasks, as it can also aid workers in the execution of semi-manual operations that integrate a technological process within a manual station. In this case, Vir.GIL positions the worker in the right place and confirms execution of the technological process only when the worker and workpiece are correctly positioned, thus ensuring precision and improving quality.